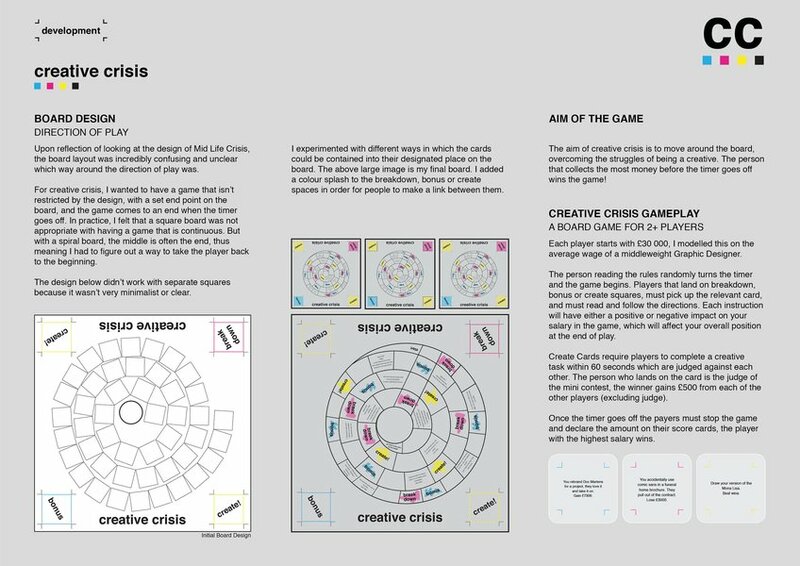 Creative Crisis is a satirical board game targeted at those with a creative flair. So, if you get riled up over comic sans, this is the game for you! Moving around the board means experiencing the highs and lows that come with being involved in such a demanding area. The aim of the game is to collect the most money and have the least amount of breakdowns before the unmarked timer goes off. 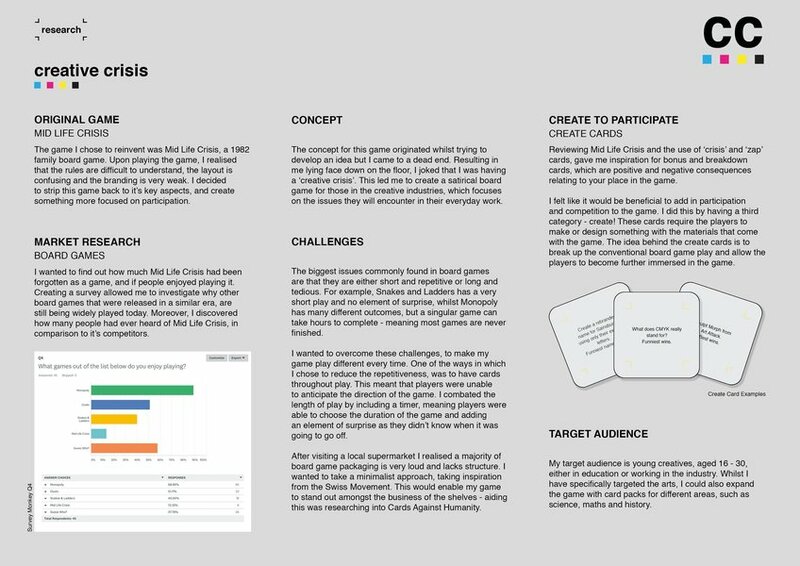 Bonus and breakdown cards directly affect your salary but create cards require you to get hands-on and compete against each other. Let the best creative win!